So here it is folks! 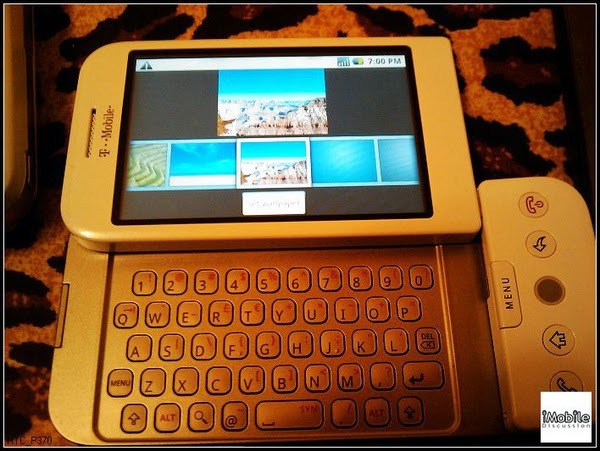 The HTC Dream! We've caught the HTC Dream out in the wild (via Engadget)! And in the wild we mean up against leopard skin print and bad lighting. From these pictures, we can decipher that everything looks quite...spacious. The keyboard seems adequate, the home buttons are plentiful, and it seems to include a cross between a four-direction arrow and a trackball. Obviously, there are some harsh lines due to the separation of screen and 'chin' that may dissuade consumers from buying it but I think it looks like a powerful device and falls in line with what HTC likes to do. And let's be honest here, the HTC Dream is only exciting because of the software (Android) and not the looks of it. This is the best device to launch Android with because of its inclusions of so many different mechanisms. In other words, congratulations HTC Dream, you are the perfect guinea pig! Read On For The Rest Of The Pictures!